Bones are important part of body and play multipleroles such as providing structure, protecting organs, anchoring muscles and storing calcium. Therefore humans must pay attention to build strong and healthy bones during childhood and youth. At birth the human body has about 350 bones, but reaching to adulthood, some of bones have fused together to give us a total of 206 bones in our body. There are total of 143 joints in the body. It is vital that individuals must keeptheir joints supple, strong and healthy.It is natural that every day, people constantly put stress on the joints in body and do not pay attention until they start paining. Human bonesconstantly change, new bones are made and old bones are broke down. When people are young, their body makes new bone faster than it breaks down old bone, and bone mass increases. Most people reach their peak bone mass around age 30. After that, bone remodelling continues, but they lose slightly more bone mass than they gain. For building strong bones, there are two main nutrients that include calcium and vitamin D. Calcium supports human bones and teeth structure, while vitamin D improves calcium absorption and bone growth. The amount of calcium in diet is important. If a person takes low calcium diet, it diminishes bone density, early bone loss and an increased risk of fractures. Next is physical activity. People, who are sedentary worker and physically inactive are exposed to high risk of osteoporosis as compared to those whoare more active. Another factor that can deteriorate bone health is excessive use of tobacco and alcohol. Several medical research indicated that tobacco use makes weak bones. Likewise, regularly having more than two alcoholic drinks a day increases the risk of osteoporosis, possibly because alcohol can interfere with the body's ability to absorb calcium. Gender is also a factor in bone strength. Females are at greater risk of osteoporosis, because they have less bone tissue than do males. 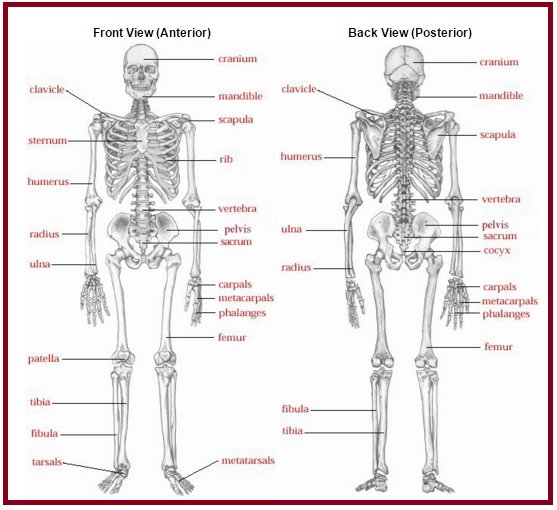 Size of the body also effects on the health of bones. People who are very thin are at risk (with a body mass index of 19 or less) or have a small body frame because they might have less bone mass to draw from as their age. Age is an important factor for the strength of bones. Bones become thinner and weaker as people grow older. Race and family history may contribute on the health of bones. People are at greatest risk of osteoporosis if they are white or of Asian descent. Additionally, people having parents or sibling with osteoporosis back ground, put them at high risk of weak bones. Hormone levels also contribute in bone health. If the thyroid hormone is very high, it can cause bone loss. In women, bone loss increases dramatically at menopause due to dropping estrogen levels. Prolonged absence of menstruation (amenorrhea) before menopause also increases the risk of osteoporosis. In men, low testosterone levels can cause a loss of bone mass. Eating disorders and other conditions also lead to weaker bones. People who have anorexia or bulimia are at risk of bone loss. Further, stomach surgery (gastrectomy), weight-loss surgery and conditions such as Crohn's disease, celiac disease and Cushing's disease can affect body's ability to absorb calcium. It is also found in medical studies that some types of medicationsandlong-term use of corticosteroid medications, such as prednisone, cortisone, prednisolone and dexamethasone, damage to bone. Other drugs that can cause more risk of osteoporosis include aromatase inhibitors to treat breast cancer, selective serotonin reuptake inhibitors, methotrexate, some anti-seizure medications, such as phenytoin (Dilantin) and phenobarbital, and proton pump inhibitors. It is also observed that people who go to gym and sometimes they do not treat their injuries properly which can even worsen in the longer run. As people are aware of the fact that there is importance of intakeof calcium in diet or through supplements and also help the bones to retain their strength. Never ignore stiffness in joints as it is very dangerous. If aperson is sitting in a position for too long and finds it difficult to get out and walk the first few steps, it is alarming signand they must visit doctor. Secondly, poor posture and improper sitting or standing in a position for long durationmay lead to joint problems. It is highly recommended by medical practitioners that people must reduce weight and exercise in proper way. The leading cause of joint pain in women is obesity.Women are also most prone to osteoporosis.Reducing body weight diminutions the chance of contracting osteoporosis by almost 20 to 30 per cent. When doing exercise, it is advised to pay more attention to bones apart from the muscles.Bones becomes stronger like muscles when they are active. Therefore, it is essential to include weight-bearing exercises to ensure that it strengthens the skeletal structure by applying the right amount of pressure.This helps in development of newer cells which strengthen the bones. There are many exercise that help to build stronger bones, these are brisk walking, dancing, aerobics and muscle-strengthening exercises. It is advised to get out in the sun because human body needs Vitamin D to absorb calcium and build healthy bones. Deficiency of Vitamin D may weaken bones. Soak in the sun with an early morning walk. If person is running short of time, then it is advised to take Vitamin D in diet.Food sources that are rich in Vitamin D include fatty first such as salmon, mackerel and tuna, egg yolks, cheese and fortified milk, as well as fortified juices. Major factor for weakening of bones is the increase or decrease in thyroid level. People must check thyroid levels.Women, especially above 40 years of age, need to take special care since the risk thyroid increases the bone weakness and can subsequently lead to osteoporosis. Bone density test: This test assesses the strength of human bones and indicate potential risk for osteoporosis. A bone density test determines if person has osteoporosis. It is a disease that causes bones to become more fragile and more likely to break. Identify decreases in bone density before it breaks. Determine risk of broken bones (fractures). Confirm a diagnosis of osteoporosis. In order to maintain healthy bones, people may take simple steps to prevent or slow bone loss. They can include plenty of calcium in their diet. For adults ages 19 to 50 and men ages 51 to 70, the recommended dietary allowance (RDA) is 1,000 milligrams (mg) of calcium a day. The recommendation increases to 1,200 mg a day for women after age 50 and for men after age 70. To keep bone healthy, people must take rich sources of calcium such as dairy products, almonds, broccoli, kale, and canned salmon with bones, sardines and soy products, such as tofu. If people find it difficult to get enough calcium from their diet, it is a need to visit doctor and take consultation about supplements. As mentioned above, check vitamin D level. Human body needs vitamin D to absorb calcium. For adults ages 19 to 70, the RDA of vitamin D is 600 international units (IUs) a day. The recommendation increases to 800 IUs a day for adults age 71 and older. Rich sources of vitamin D are oily fish, such as tuna and sardines, egg yolks, and fortified milk. People can spend time in sunlight that contributes to the body's production of vitamin D. If there is deficiency, immediately consult doctor about supplements. Another nutrient, Protein makes up 20-30% of bone mass. Protein intake can influence growth hormones and growth factors in the body, which indirectly affects bone health. Therefore protein intake must be sufficient to make strong bones. Other vitamins like Vitamin C helps to lay down new bone. Foods rich in vitamin C include vegetables and fruits. Vitamin E acts as an antioxidant to fight off free radical destruction of bones. Foods rich in vitamin E include nuts, seeds, dark leafy greens, and tomato sauces. Magnesium helps to lay down bone mass. Foods rich in magnesium include dark leafy green vegetables, beans, seeds, and nuts. Medical doctors recommend that Excessive caffeine is harmful for bones. Up to two cups of coffee a day should not pose risks to people who take a well-balanced diet. It is advised to avoid substance abuse and smoking. Avoid drinking more than two alcoholic drinks a day. Bones have significant functions in the body therefore health of bones is necessary. Bones provide a framework for the attachment of muscles and other tissues. Bones enable body movements by acting as levers and points of attachment for muscles. Bones serve as a pool for calcium and phosphorus, essential minerals for various cellular activities throughout the body. For bone health, it is a good habit to stay active to strengthen and lubricate the joints. It is well established that Strong bones are vital to good health, and good nourishment makes healthy bones.